If you’re dreaming of a home nestled in the rolling hills of Central Texas, Briggs is your place! A custom home in or near Briggs combines country charm near big-city amenities. 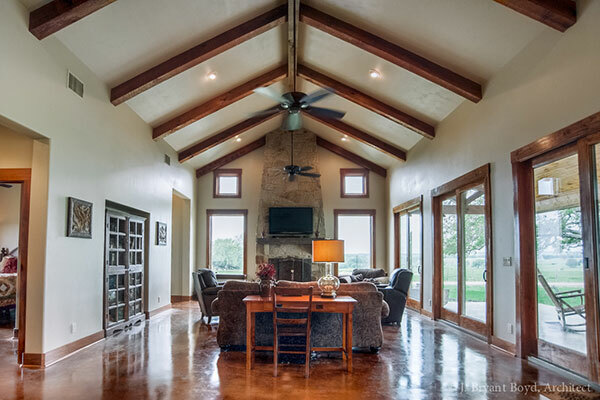 J Bryant Boyd Architect Design-Build knows that if you’re building or remodeling a home in the country, you want it to fit in with its surroundings. That’s why we always visit clients’ sites before we design anything–so that we can get a feel for the afternoon sun or the morning breeze. Our construction process is just as thoughtful; we use local materials that reflect the architectural tradition of Central Texas. While its aesthetic will be timeless, your home will be sustainable, modern and comfortable. Work with someone who knows Briggs. Work with J Bryant Boyd Architect Design-Build. Together, we can make your dream home a reality. To learn more about how our team can help you, call us at (512) 930-1686 or fill out our contact form. We look forward to working together.